RICHMOND, Calif. (KGO) -- Governor Brown is getting a desperate plea for help from five East Bay mayors following yet another highway shooting. There have been 28 shootings since November on three East Bay freeways. Last night's shooting was a reality check for Hercules Mayor Dan Romero. "The area is in a crisis and this is a public safety issue," Romero said. One man was shot and taken to the hospital. A second car had its window shattered by a stray bullet, that prompted Romero to write a letter to Gov. Brown asking for more cameras. The mayors of Pinole, Richmond, San Pablo and El Cerrito will also sign that letter. All five mayors will meat at 8 a.m. in El Cerrito City Hall to sign the letter. "The cameras that we have on Interstate 80, I'd like those cameras to have the ability to record. Currently, they are just live monitors," Romero said. "The other thing is to have the on-ramps and off-ramp have cameras, so we have the ability to capture the license plates." 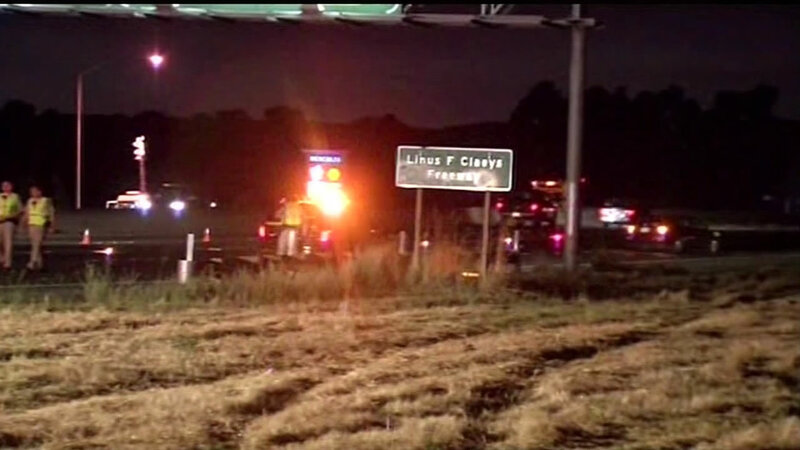 Recently, a mother of four was fatally shot on Highway 4 in Pittsburg. The city council there voted to spend $100,000 to buy cameras along that section of the highway. "First, it was at night but now I'm afraid anytime, so I really think we need to do something about it," said Hercules resident Linda Smith. "It's getting hectic, people have families, they got to come home to. Who know what it's from on what's it about," said Hercules resident Angle Ramos. Romero and law enforcement are sure gangs are responsible for these shootings. "Apparently, the gang members are smarter than we are. They've decided to take their shooting onto the freeways because there's no shot locator, there's no way to documents what is happening," Romero said. The mayors say it would be up to the state to come up with the funding for this project.